Woolsey Fire, Hill Fire, and Griffith Park Fire Images from Across L.A.
Wildfires are raging across California today, with three separate significant fires being tracked across the Los Angeles area. The 14,000-acre Woolsey Fire has made its way across communities including Malibu, Westlake Village, Thousand Oaks, Oak Park, and Ventura County. At the same time, the Hill Fire is burning across the Santa Rosa Valley and a third fire is active in Griffith Park. As of now, no fatalities or severe injuries have been reported from the three local fires, but at least 88,000 homes have been evacuated. A fourth simultaneous fire near Chico, in Northern California, is reported to have claimed at least five lives so far. 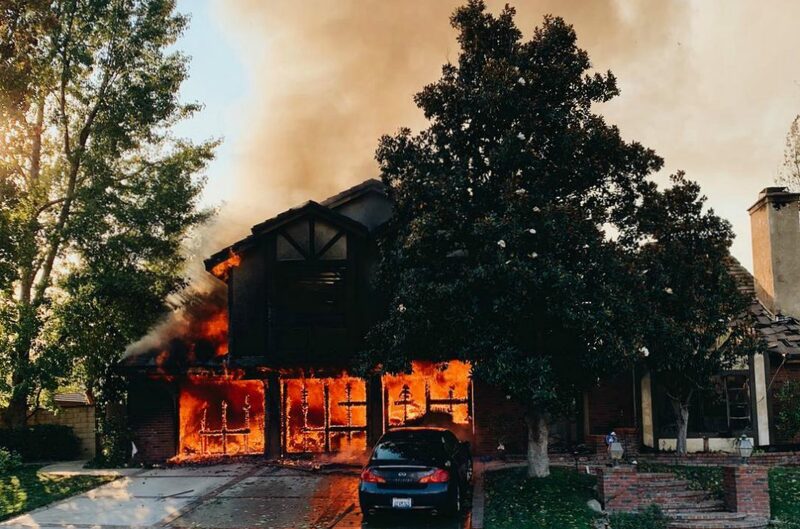 As fast-moving Santa Ana winds continue to sweep the flames across the region, Angelenos have been sharing live updates and images of the scene from wherever they are. Conditions can change quickly, so please consult updated information about road closures, evacuation centers, and the ongoing emergency response.